The new entry-level SKU is $300 to $400 cheaper than the current UX331UN SKU by axing the dedicated GPU and halving both the LPDDR3 RAM (16 GB to 8 GB) and internal M.2 storage (512 GB to 256 GB). 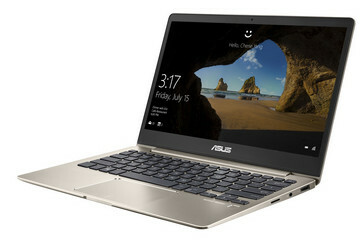 The Asus Zenbook 13 UX331 series has been available since January in the form of the UX331UN. That particular configuration ships with a Core i7-8550U CPU and GeForce MX150 GPU for a relatively high asking price of about 1200 Euros or almost $1400 USD. Users who may have wanted a less expensive SKU without the dedicated Nvidia GPU have been out of luck until today. 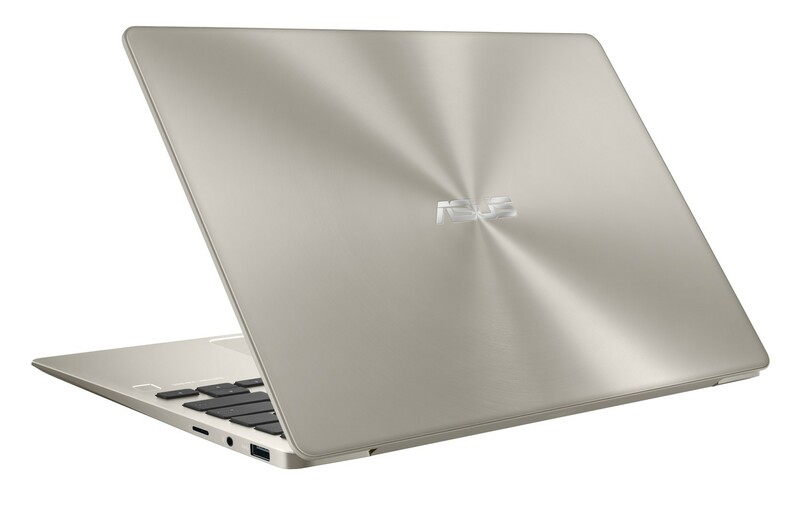 As revealed by the Asus press release below, the Zenbook 13 UX331UA is now available with Core i5-8250U and i7-8550U options for $800 USD and $900 USD, respectively. These cheaper SKUs have the exact same chassis design as the UX331UN but with integrated UHD Graphics 620 only. For light tasks like word processing, streaming, or browsing, the UX331UA should prove more than sufficient while saving users hundreds of dollars. The 13.3-inch Zenbook 13 series competes against other prosumer laptops like the Dell XPS 13, Lenovo Yoga 920, Apple MacBook Air, Razer Blade Stealth, and Acer Swift 7. The timing of the news is mere weeks ahead of IFA 2018 where Asus is expected to unveil new laptop designs. Until then, we recommend checking out our two review pages on the UX331UN for more details on the chassis and its features. Major online retailers like Amazon, Adorama, and Newegg are already holding the UX331UA in stock and those who purchase through Amazon can save an additional $50 with the coupon code as described in the press release below. Limited time offer: $50 introductory discount available for UX331UA-AS51 at Amazon until August 20th. 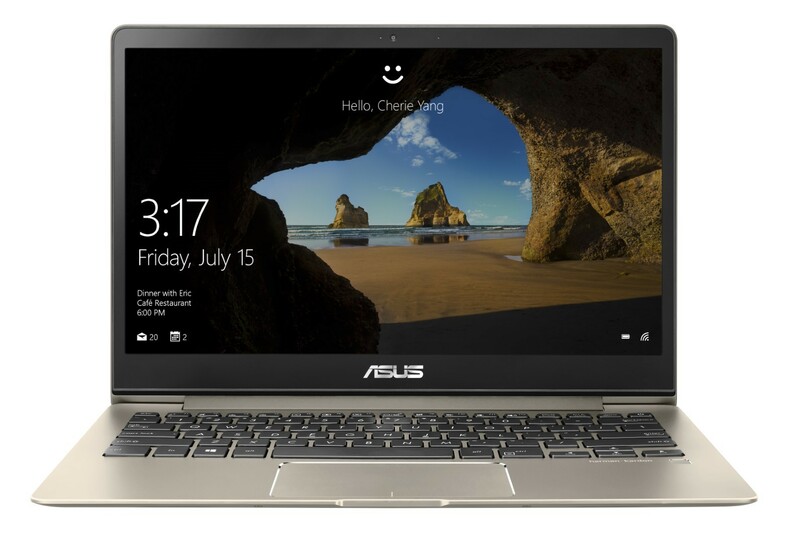 Fremont, CA (August 6, 2018) — ASUS today announced availability of the ZenBook 13 UX331UA, an ultrathin and ultralight addition to the ZenBook 13 Series designed for discerning travelers looking for the ultimate ultraportable without having to break the bank. The ZenBook 13 UX331UA replaces the ever popular ZenBook UX330UA by not only upgrading to a modern look with slim bezels, but also by weighing less to deliver a stylish and portable, yet affordable and powerful laptop. The ZenBook 13 UX331UA offers serious on-the-go computing power. At its heart is up to an 8th Generation Intel Core i7 processor — which can boost to 3.7GHz when needed — with 8GB DDR4 RAM, along with a 256GB SSD for an ultra-responsive system. So whether the user is creating mega-sized office documents, manipulating photos, editing HD video, or simply taking a break with the latest high-powered games, the ZenBook 13 UX331UA will never keep them waiting. Designed for non-stop, on-the-go lifestyles, the ZenBook 13 UX331UA offers the freedom of all-day battery life. A specially designed 50Wh lithium-polymer battery delivers up to 14 hours of autonomy, with fast-charge technology that takes just 49 minutes to recharge to 60% capacity. To deliver immersive, lifelike visuals and provide the biggest screen in the least space, the ZenBook 13 UX331UA has a beautiful NanoEdge Full HD display, with an ultrathin bezel that gives it an impressive 80% screen-to-body ratio. This 13.3-inch display fits in an ultra-compact frame, giving the ZenBook 13 UX331UA a smaller footprint than many 13-inch models. Its 178° wide-view technology ensures that image quality isn't degraded when viewed at extreme angles, so it's great for collaborating or entertaining, and the wide 100% sRGB color gamut ensures vivid and accurate colors. 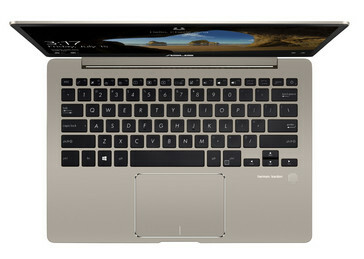 The powerful Harman Kardon-certified audio system features the next generation of ASUS SonicMaster technology. 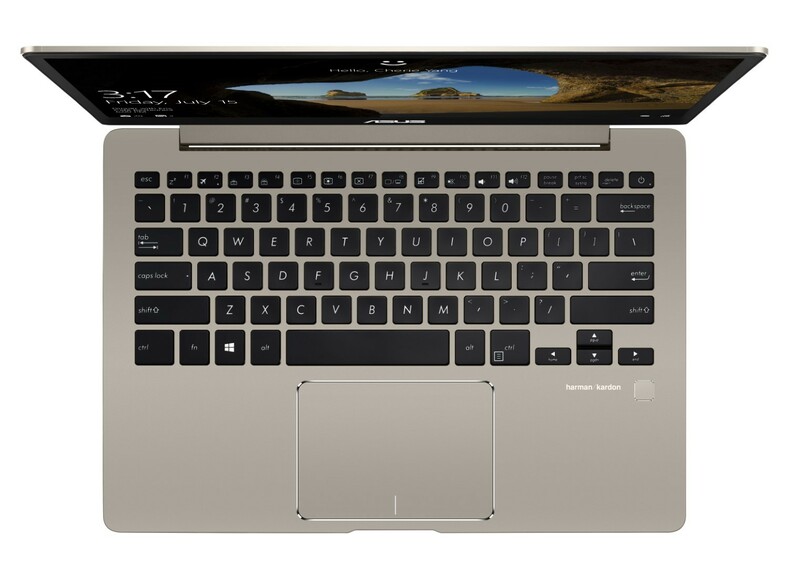 With its tailored mix of superior hardware — including low-distortion smart-amplifier technology that can boost volume by up to 3.5X — and cleverly designed software, the ZenBook 13 UX331UA delivers a high-end audio experience. For unrivaled on-the-go productivity, the ZenBook 13 UX331UA has a full-size backlit ergonomic keyboard that’s optimized for comfort with 1.4mm key travel. The Windows Precision Touchpad is engineered for maximum comfort and accuracy, with a glass covering for smooth control. It features palm-rejection technology and supports multifinger gestures and handwriting, and a built-in fingerprint sensor allows secure one-touch login via Windows Hello. 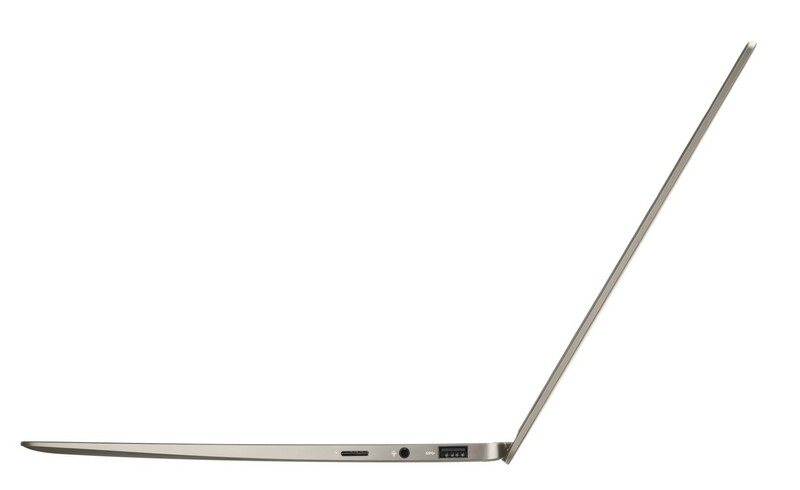 The ZenBook 13 UX331UA is equipped with the new, reversible USB-C port that delivers data transfer speeds that are up to 10X faster than older USB 2.0 connections. There are also two USB 3.1 Gen 1 Type-A ports, an HDMI port and a microSD card reader. For uncompromising wireless connectivity, the ZenBook 13 UX331UA features the new and exclusive ASUS Wi-Fi Master technology, which reduces interference to ensure faster and more reliable dual-band 802.11ac Wi-Fi connections at extreme distances¹. With a top speed of 867Mbps it's up to 6X faster than 802.11n², for seamless video-streaming, smooth web-surfing and lag-free gaming. 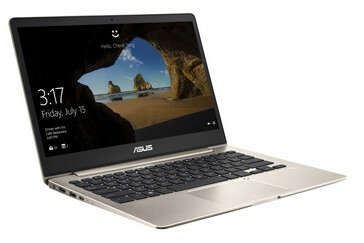 The ASUS ZenBook 13 UX331UA-AS51 is immediately available at a MSRP of $799 USD from Amazon. Use code 50SAVEZEN to save $50 until August 20th. 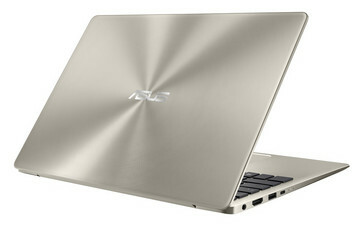 The ASUS ZenBook 13 UX331UA-DS71 is immediately available at a MSRP of $899 USD from the ASUS Store, Adorama, Amazon, and Newegg.